FOOD TRUCK BUILT BY SEATTLE KING COUNTY CODES. Keywords: Custom Food Trailer, food trailer, food trailers,food trucks for sale, food truck for sale, concession trailers for sale, food truck for sale, food carts for sale, concession trailer for sale, food trucks, food truck. At Portland Food Trailers, we specialize in new and refurbished custom mobile concession stands and food trucks for sale at HIGH-QUALITY AND LOW COST. Our food and barbecue trailers for sale, as well as our kitchens on wheels can be used for just about any type of cooking including barbecue, fried foods, catering and more. We have mobile concession stands, food trucks, food and barbecue trailers, and kitchens on wheels for sale that can be equipped and used as: pizza and chicken roast concessions, funnel cake, drink dispensers, ice cream concessions, and more. 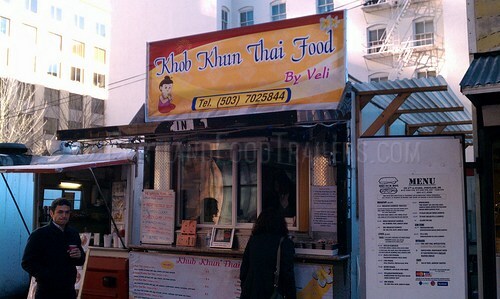 We at Portland Food Trailers can also customize mobile concession stands to your specific needs. This means that you pick the color, equipment, size and more. So browse through our web site to find the food and bbq concession trailers or food trucks for sale that suit your needs and remember, if you can't find a mobile concession stand to meets your needs, we can customize one for you.